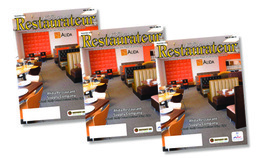 Welcome to Alida Restaurant Supply & Seating Company! Your restaurant’s potential is boundless; but to help it get there, you will need a reliable company with the proper expertise and product knowledge. That’s where we come in! 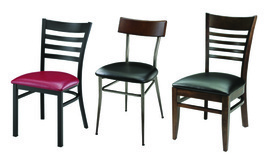 Alida Restaurant Supply & Seating Company is the one-stop shop for any and all of your restaurant equipment and commercial hospitality furniture needs. With over 5,000 items in our inventory ranging from kitchenware and industrial restaurant equipment, to custom booths and seating, we guarantee to have everything you will need to get your restaurant up and running. As a family-owned company, we are committed to surpass the expectations of our clients by providing both professional service and the most competitive pricing for products of the highest quality and durability in the market today. We pride ourselves in the relationships we form with our clients, and invite you to join the Alida family too. Let us help you make your restaurant vision a reality! Alida Restaurant Supply carries custom furniture designs created exclusively for us that you won't find anywhere else along with some standard offerings that we guarantee will make your restaurant look amazing. 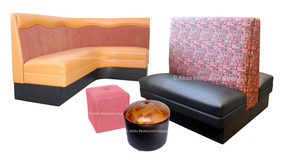 Alida Restaurant Supply can custom design just about anything that you may need for your restaurant seating. We discuss your ideas and needs, take measurements, and assist you in choosing colors and textiles for your custom booth. 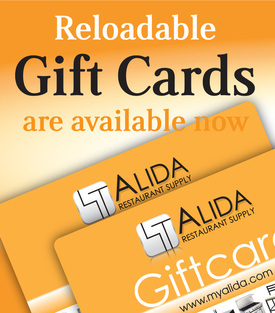 Alida Restaurant Supply carries only the finest and highest quality foodservice equipment from the leading brands and manufacturers in the industry today. 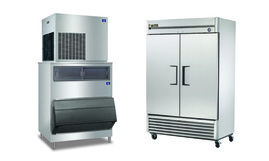 With our competitive pricing and stock of items available in our warehouse, we know that we can get your restaurant the right equipment at the right price. 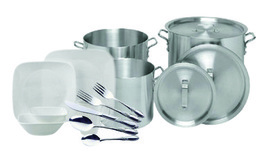 Alida Restaurant Supply has a vast stock of kitchen and dining necessities that your restaurant needs readily available and in stock; from pots, pans, and industrial cookware, to chinaware and utensils, we have everything you need to make your kitchen efficient as well as your customer's dining experience memorable. Check out our published articles in Arizona Restauranteur Magazine!